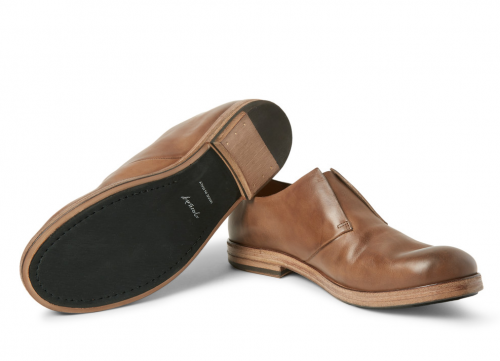 This a new take on a classic style that most men can appreciate because of ease of wear. MARSELL specializes in heritage inspired footwear, and these slip-on Derby shoes are an interesting example. Meticulously crafted from washed leather for a distinct, well worn look, this pair is set on durable rubber soles that provide unbeatable comfort and traction. I love the ease of adding these to a look to bring it from sport casual to summer cocktail casual. There is a hidden elastic band keeping the fit snug and that is perfect. So go HERE and get your pair as they will last some time and that is important in a luxury purchase.